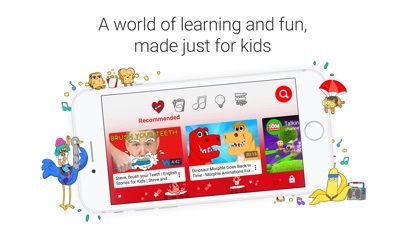 A world of learning and fun, made just for kids We created YouTube Kids to make it safer and simpler for children to explore the world through online video – from their favourite shows and music to learning how to build a model volcano (or make slime), and everything in between. 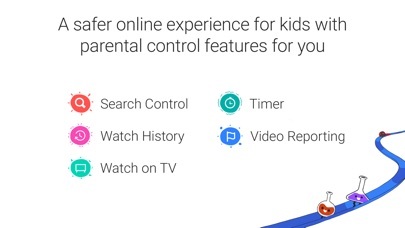 There's also a whole suite of parental controls, so you can tailor the experience to your family's needs. 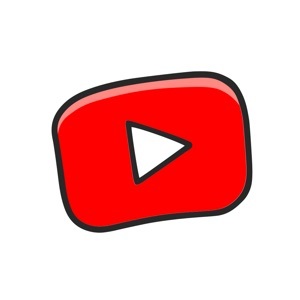 A safer online experience for kids We use a mix of filters, user feedback and human reviewers to keep the videos in YouTube Kids family friendly. But no system is perfect and inappropriate videos can slip through, so we're constantly working to improve our safeguards and offer more features to help parents create the right experience for their families. Get the scoop on all the control features available to you: CHILD PROFILES: Create up to eight child profiles, each with their own viewing preferences, video recommendations and settings. 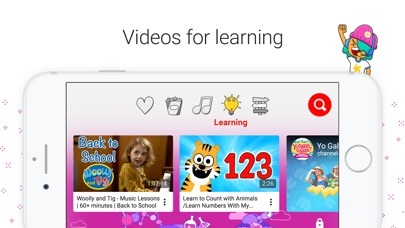 CHANNEL COLLECTIONS: Select collections of channels on a variety of subjects by trusted partners and YouTube Kids. PARENT APPROVED CONTENT: Make sure that you're in control of what your children watch and hand-pick the videos, channels and collections of channels that they can see. BLOCKING: Found a video or channel that you don't want your child to watch? Block it to automatically remove it from all of your children's profiles. VIDEO REPORTING: Alert us immediately by reporting videos that shouldn't be in the app. The video will be sent to us for fast review. SEARCH CONTROL: Turn search on so that your children can access more videos. 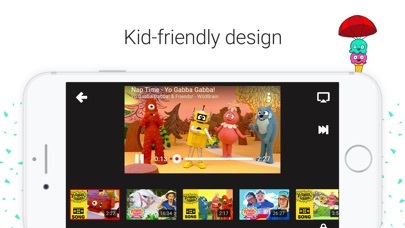 Turn search off for a more contained experience by limiting the experience to channels that have been verified by YouTube Kids. TIMER: Set up a timer to put limits on how long your children can use the app. WATCH HISTORY: Keep tabs on what your children are watching in the app. WATCH ON TV: Gather your family and enjoy YouTube Kids on select TVs. For more information, visit kids.youtube.com. Other important information: Parental setup is required to ensure the best experience possible for your child. 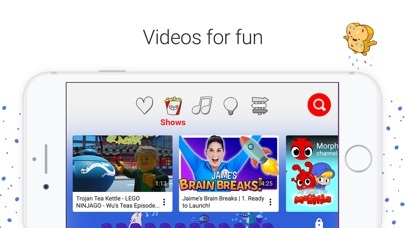 YouTube Kids contains paid ads in order to offer the app for free. Your child may also see videos from YouTube creators with commercial content in them that are not paid ads.